The folk at REdSETTER have been working hard to catch up with the new printers and we're now able to offer a choice of units for PGI-570, CLI-571 cartridge chips. Will reset the equivalent of 30 x 5 cartridges or 25 x 6 cartridges (See below). 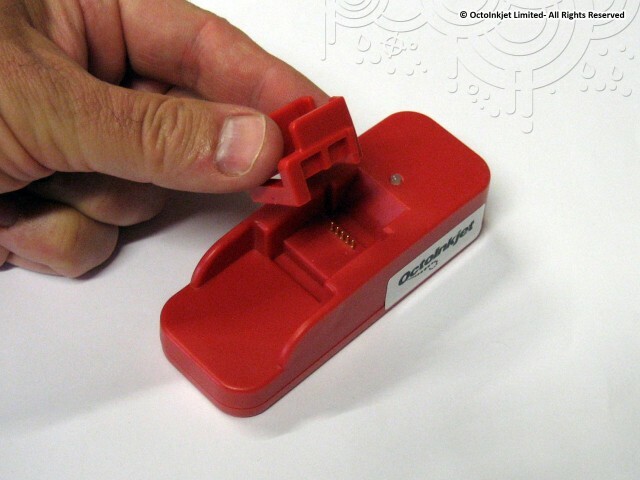 The REdSETTERs also come with a removeable guide which allows you to slide CLI-571 cartridges into place or just remove it to reset the larger PGI-570 cartridge instead. As per earlier models this unit can reset an unlimited number of chips compatible with the unit. Given the other limited version will handle the equivalent of 30 sets of 5 cartridges this unlimited unit is actually more suited for commercial refill operations or prolific refillers who get through a lot of cartridges. This REdSETTER unit has a limit to the number of resets it will perform. This is equivalent to 30 sets of 5 cartridge or 25 sets of 6 cartridges so it can actually handle a lot of work. Reset Protection: The resetter will only reset the unit to full if the cartridge has been installed and recognised in a printer since the last reset. Pressing a cartridge into the REdSETTER multiple times, without installing the cartridge in a printer, will only deplete the reset count once. The production of two seperate product options has allowed the manufacturers to ensure the cost/price unit down and care has been taken to avoid wasting resets with the inclusion of a reset protection function. Compatible USB powered chip resetters are also available for North American model 270/271 chips/cartridges.